Golf is considered as men’s game yet women often lack behind in getting this experience. Sad isn’t it? If women can play equally well in other sports, then why not golf? Let’s give them a chance! Callaway is an authority golf brand. They have production lines optimized especially to women muscle structure. Ever heard about its newly introduced golf set, the Solaire? 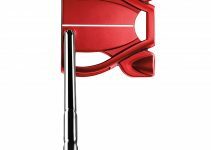 This post is solely about Callaway Solaire Review. As of today, golf products are going out of shape quickly but is Solaire worth the money? Before getting into the depths let’s get a quick introduction about the Solaire. 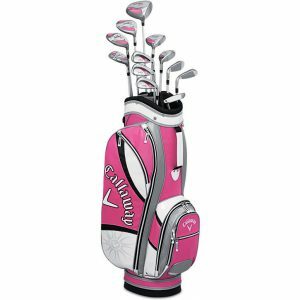 The Callaway Solaire set is designed precisely for women, with a quality design, fit and performance to assist them to hit their best shots. 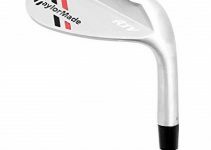 The set comes in few variations but mainly includes 11 to 13 pieces having Driver, 3 Wood, 5 & 6 Hybrids, 7 through 9 Irons, Pitching and Sand Wedge, Putter, Cart Bag, and (4) Headcovers. The Women’s Solaire Set is an all-in-one complete set of clubs with outstanding performance and forgiveness engineered specifically for women golfers. It gives women all that they need to feel confident about their gear. Solaire package is introduced after massive research into ladies’ golf swings. Callaway has produced this set to raise an average player’s game to an improved level. Callaway’s new Solaire is expensive but worth the money. Let’s dig into its pros and cons. Callaway enjoys the reputation of producing long-lasting products. Solaire is no different, take some care and expect it to be with you on the club for years. The Solaire clubs and sticks might be heavy and require the right amount of space; the bags are made up to the mark as well as the head covers which are specially designed. It is easy to pack all the accessories because it is specially made Solaire Package. Packing or unpacking becomes a lot quicker with easier with these. some people might regret their specialty to be left-handed as there many common things they can’t do due to this, including golf itself. 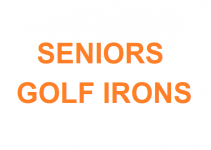 The Solaire provides left-handed clubs for people with this specialty, interesting right? The best part about it is that it is Compatible with tall women as well as normal ones, so extra tall ones or short ones don’t really have to worry about it. If you are in the range from 5’2” to 6′, this set will smoothly integrate with your swings. You don’t have to fix any parts or mess things up just take the club out from the blog and focus on the birdie you have in your mind. Some people fear being cheated on by some brands, but according to a general review, Callaway would never deceive your trust or mismanage your money. Chill people! The cons comparatively are fewer which make the Solaire more admirable. Some people might consider it too much, but the design and shoot distance balance this in terms of performance. At the current price point, there should be more color options available. You may find the available colors not according to your taste. I personally found some color combinations. Golf is played on a colorful terrain, I would like to feel the same energy when I reach the bag to change the driver. So generally, if you’re a newbie, I might consider you being tempted by Callaway’s Solaire. If you’re a woman who has never experienced golf sets before or a regular at golf club playing with your friend’s gear. I would say Callaway Solaire Set is worth the money. You should try it out! Callaway gives you the best design and quality in affordable rates. Happy golfing!